WillBurt - RFMW UK, Ltd.
Will-Burt are specialists in Telescopic mast systems and incorporate the US divisions of WillBurt and Integrated Mast Systems with German based Geroh. In 2016 the group added UK Metham Aviation Design (MAD) -specialists in camera weatherproof pan & tilt heads. Specialist provision of elevation systems for Radar, Cameras, IR, Lighting and Radio payloads can be deployed in mobile “on the move”, container or ground based installations. 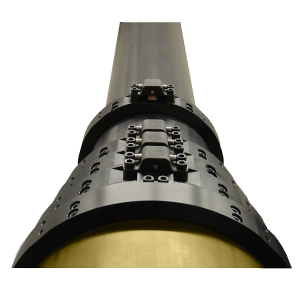 Solutions range from Fast deploy back pack Tripod based systems for small radio payloads to high performance composite electro-mechanical masts for high payloads and minimal wind load deflection. AM2 Antenna Mast – Portable solution capable of heights to 60ft / 18.3m, deployed from a wheeled carry-sack. The unit can be deployed single handed and has EZ Raise winch system and non slip safety brake.Payloads to 23Kg. Geroh Spindle Drive Mast system – High precision for low wind deflection and high point accuracy with electro mechanical drive mechanism allowing multi height deployment and use on inclines. Range extends to 18m with loads to 300Kg. Integrated Mast Systems Lattice towers and mobile trailers for high loads such as Comms systems and Radars provide heavy duty 350Kg payloads to >30m tower heights on all terrain transportation solutions. Capability extends to provision of Tactical trailers and Composite container comms shelters. Pneumatic Systems can be combined with locking systems to provide stability for long deployment periods with removal of positive air pressure.Guying can be used for additional stability on masts allowing lifts to 30m from relatively low nested heights if tilt mechanisms are added. COTS systems allow fast adaption of interface plate for your specific payload and design support for wind load analysis.